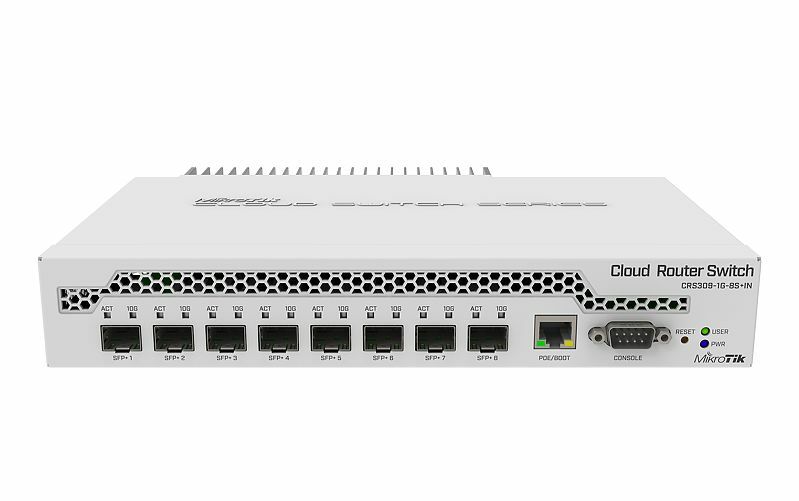 Home :: Mikrotik Switches :: Mikrotik Cloud Router Switch CRS309-1G-8S+IN complete 8 SFP+ ports plus 1 Gigabit Ethernet port layer 3 switch and router assembled in metal case with power supply - New! 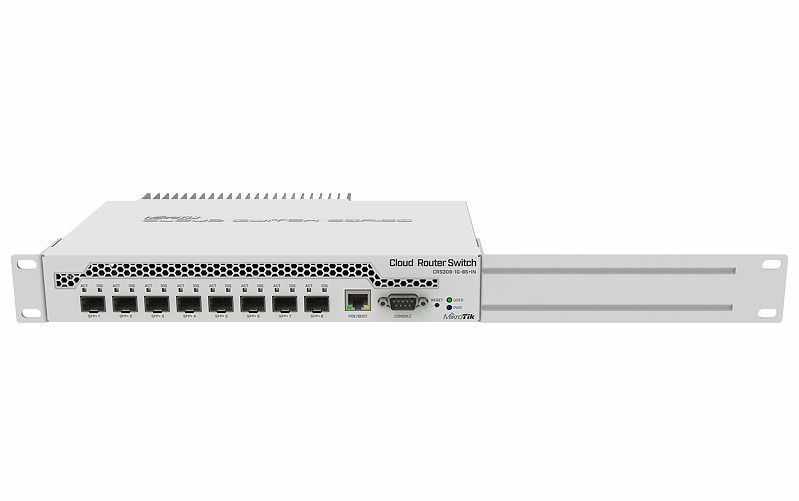 The Mikrotik CRS309-1G-8S+IN is a very compact, yet powerful networking switch. 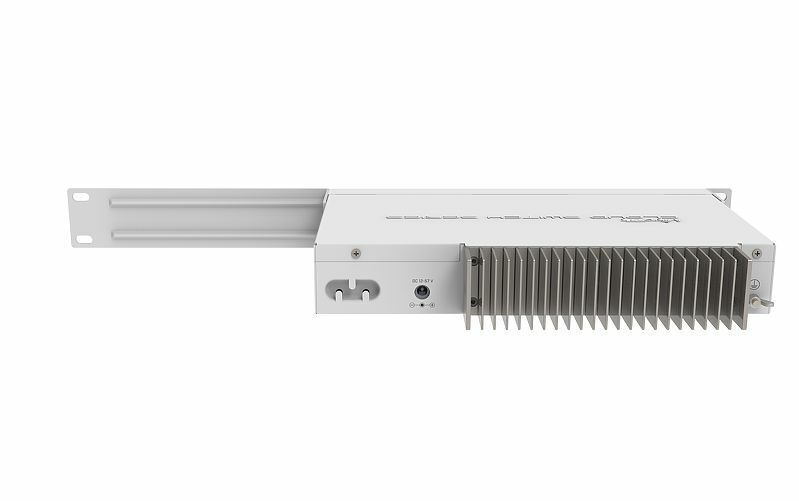 It has eight SFP+ slots, supporting up to 10 Gbit module in each, which results in a total switching capacity of 162 Gbps and total non-blocking throughput of 81 Gbps. 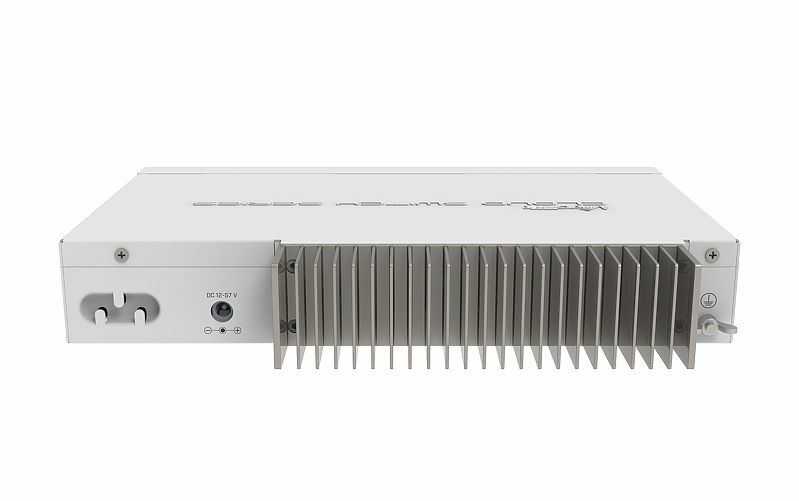 The device also has dual-core 800 MHz CPU, 512 MB RAM, a management Ethernet port with PoE power input, RS232 serial port, a grounding terminal and is capable of dual boot (choose which operating system you prefer, RouterOS, or SwOS). All the feature set comes with a disruptive price, providing the best price/performance on the market. The compact and sleek metallic enclosure also acts as a heatsink, making this device passively cooled - no fan noise and no dust accumulation inside. Special rack mount ears for installing unit into the standard 19 inch rack are provided.